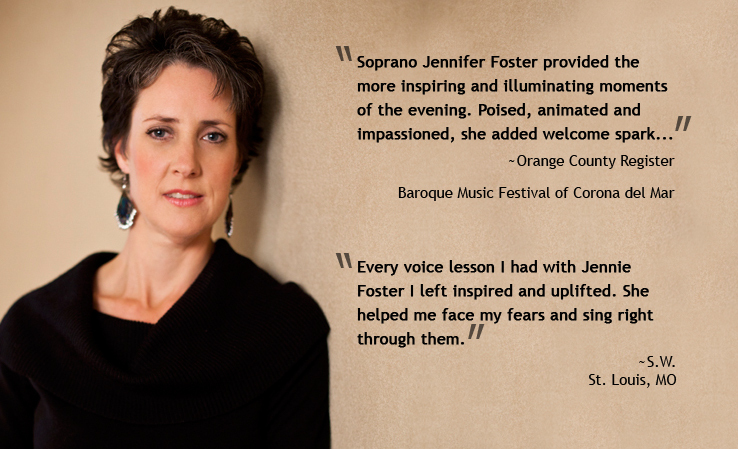 Consistently lauded as a singer of rare expressive ability and versatility, soprano Jennifer Foster has sung opera, oratorio, recitals and chamber music with world class musicians throughout the United States and Europe. 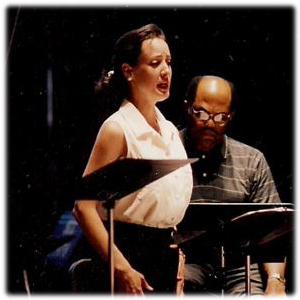 Her many credits include lead and comprimario roles with the Los Angeles Opera, a national tour with San Francisco Opera’s Western Opera Theater, performances with the Los Angeles Philharmonic conducted by Esa-Pekka Salonen and Lawrence Foster at the Hollywood Bowl and a duet with Bobby McFerrin at the Verbier Festival in Switzerland. She has appeared with the Stamford Symphony, the New Haven Symphony, The Los Angeles Mozart Orchestra, the New World Symphony, the Boston Cantata Singers, The Pacific Chorale, the San Francisco Choral Society and the Central Florida Master Choir among many other regional orchestras and choral groups, and has been featured at the Tanglewood, Santa Fe, Cabrillo, Tucson, and Aspen Festivals. Jennifer earned her MFA degree in Interdisciplinary Arts with a Performance Creation Concentration from Goddard College in February 2019. She has a Bachelor of Music degree in Vocal performance from Chapman College in Southern California where she studied with Janet Smith. She has also studied at the Britten-Pears School for Advanced Musical Studies in England, the American Center for Music Theater Training in Los Angeles in its Opera Intensive and Professional Music Theater Workshops, the Aspen Music Festival and the Verbier Festival and Academy in Switzerland. 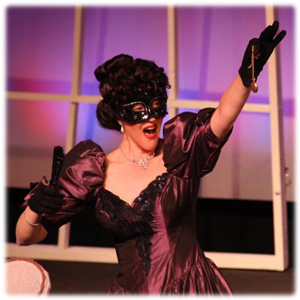 A member of Actor’s Equity, she debuted in her first Equity production in 2008. Keenly interested in the performance, promotion and development of chamber music, Jennifer was invited by the Tucson Friends of Chamber Music to work with celebrated American composer Lee Hoiby to develop a commission for soprano and string quartet. She premiered the resulting work, Sonnets and Soliloquies, with the Miami String Quartet at the 2005 Tucson Winter Chamber Music Festival, where she has been a frequent guest artist. Collaborators have included the Shanghai String Quartet, the American String Quartet, clarinet virtuoso Richard Stoltzman, the Los Angeles Guitar Quartet, Czech harpist Katarina Englichova, violinist Ani Kavafian, cellist Rajan Krishnaswami, oboist Allan Vogel and pianists Miri Yampolsky and Xak Bjerken. She served as soloist for The First Church of Christ, Scientist, (The Mother Church), in Boston from 1997 to 2004. Her recordings include Jubal-ation, produced by the Christian Science Publishing Society and Debut: Chamber Works with Voice, live performances of lesser known vocal chamber music. She can also be heard on the Naxos label performing music of Creole Romantic composers. Her most recent releases on the Capstone label feature the sacred music of Dave Brubeck and Allen Brings. She is currently in development on new recording projects. 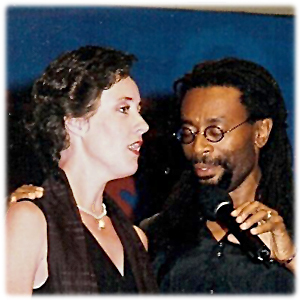 Over the course of her career, she has been honored with awards from the Metropolitan Opera National Council Western and Southeastern regions, the Center for Contemporary Opera in New York, the Long Beach Mozart Festival, and the DeRose-Hinkhouse Religion Communicators Council, among others. Jennifer regularly teaches master classes, conducts in depth performance workshops, and teaches private voice lessons for singers of all ages and music of all genres. She is also available as a coach for public speaking, voice-over artists and pastors and readers of sacred texts.